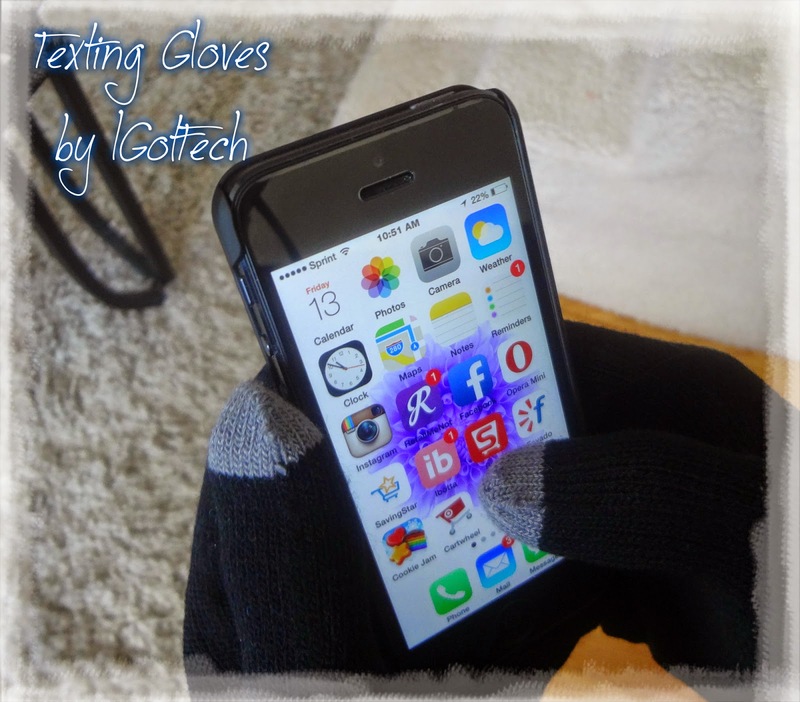 Product Review Texting Gloves for Smartphone & Touchscreen: Premium Quality Materials, Ultra-Soft Brushed Interior For Comfort & Warmth. Texting Gloves for Smartphone & Touchscreen: Premium Quality Materials, Ultra-Soft Brushed Interior For Comfort & Warmth. Smart Touch-nology in Fingertips Allow Fun, Safe Texting & Smart/iPhone Use Outdoors. Unique 100% Winter-Smart 'Wear-antee'! I received these SmartTech texting gloves. My son has tried quite a few gloves and they ripped quickly and did not have any grip to use his IPhone. He Tried the IGot Tech Gloves. I received these gloves in exchange for an honest review and all opinions are 100% of my son reviewing them. He says they are very comfortable they stretched to fit his hand. He works outside and is always traveling to school and work. He needed a good pair of gloves so he doesn't have to keep taking his hands out to text or go on his phone. He said they work great and they are warmer then the ones he has had in the past. Some gloves only have the index finger with the smart touch technology. These gloves have thumb index and middle finger with smart touch on the top. As he said to me "These are comfortable and work good with my touch screen phone."